Public health authorities have assumed, incorrectly, that simply presenting medical facts would be enough to counter anti-vaccination misinformation, experts say. With 15 cases of measles now reported in a British Columbia outbreak, both the medical community and social media companies need to step up their game in combating anti-vaccination misinformation that continues to spread — largely uncensored — on platforms such as Facebook and YouTube, experts say. "This is huge," said Fuyuki Kurasawa, director of the global digital citizenship lab at York University in Toronto. "It's a war around the truth and around information and it's a major public health crisis." Because of the widespread availability of vaccinations, "measles was actually declared eliminated in Canada in 1998, and the cases that we still do see are linked to travel. When outbreaks occur, they tell us that some groups of people do not have adequate immunity," the Public Health Agency of Canada said in a statement. If vaccine coverage drops below 95 per cent in a community, the risk of infection rises, the agency said, noting the current national level of coverage is 89 per cent. Measles killed more than 110,000 people around the world in 2017 — most of them children under five, according to the World Health Organization. 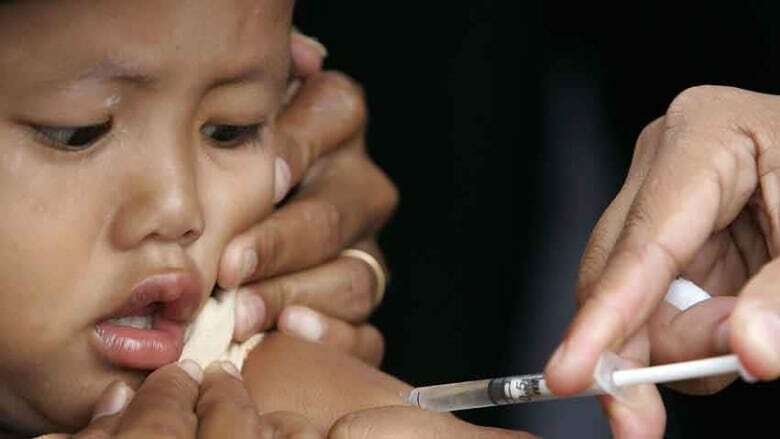 This year, the organization has identified the reluctance or refusal to vaccinate against preventable diseases — known as "vaccine hesitancy" — as one of the top 10 threats to global health. Yet, despite the fact they're on the wrong side of the scientific evidence, Kurasawa said, anti-vaccination advocates — also known as "anti-vaxxers" — have gained the upper hand in a raging social media battle. That's because public health authorities have been "relatively slow" to respond to anti-vaccination propaganda in ways that are appealing to social media audiences, he said. Instead, they have relied on the assumption that "putting out the truth and factual information" is enough. But social media "relies on short, relatively catchy or attention-grabbing memes, messages, videos ... an informal tone," Kurasawa said. Anti-vaccination groups have mastered that style — attracting people to false content ranging from claims that vaccines cause autism (an idea that was scientifically debunked long ago) to insisting that being infected by measles as a child can protect against heart disease and cancer later in life. Some anti-vaccination groups also solicit donations online from their supporters to continue making — and sometimes advertising — such content. "They've been very savvy. They've been very well funded," said Richard Carpiano, a professor of public policy and sociology at the University of California, Riverside. It's a stark contrast to the approach public health authorities have taken in disseminating information, he said. "They've been kind of really heavily pushing on a very old type of model of medical authority," Carpiano said. "You know, 'trust us ... I'm a doctor and I tell you that vaccines are good. And here's our website.'" "But the reality is … parents spend more time online than they're going to be spending in their clinician's office," he said. "So the online world is really quite critical for where parents, particularly new parents ... are most susceptible to this kind of [anti-vaccination] misinformation." Dr. Theresa Tam, Canada's chief public health officer, acknowledges that "just the public health messaging of facts is not enough." Health authorities need to do a better job at connecting with people on social media platforms about vaccination, she said. "We are in a really critical moment right now," she said. "We recognize we do need to do more." 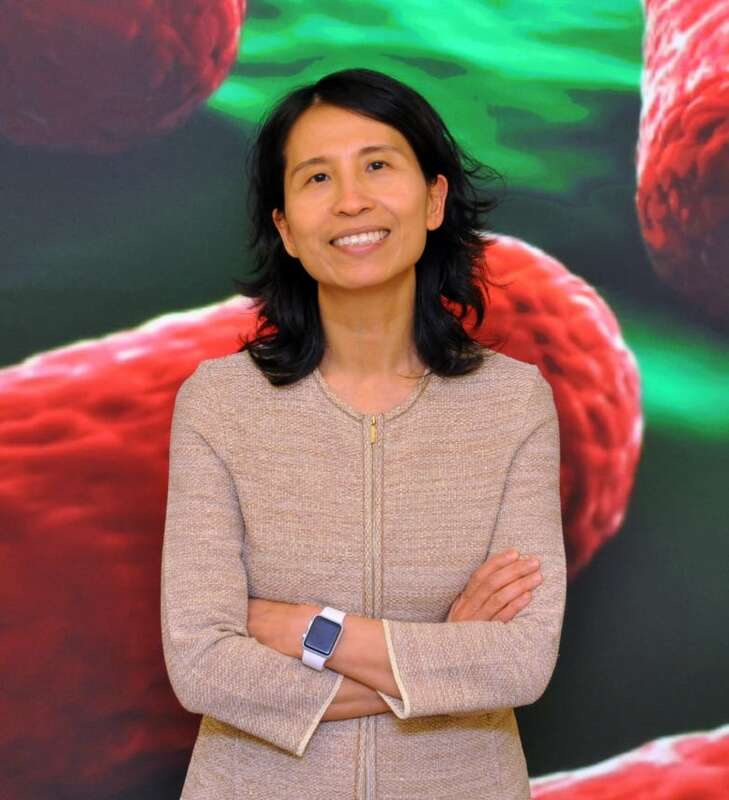 Tam said she's "really happy" to see that big social media companies — including Facebook, YouTube and Pinterest — are taking some responsibility for stopping the spread of anti-vaccination misinformation on their platforms. Pinterest — a site on which users (called "pinners") save visual content they like from other blogs or websites to their personal page — has had a "health misinformation" policy since 2017, spokesperson Jamie Favazza told CBC News by email. "We don't allow advice when it has immediate and detrimental effects on a Pinner's health or on public safety. This includes promotion of false cures for terminal or chronic illnesses and anti-vaccination advice," the policy said. The company actively started blocking "certain searches" — such as "anti-vaccine" or "anti-vaxx" — last year, Favazza said, "because results were leading to harmful misinformation." Pinterest has also gone a step further, she said, to "identify and block websites of people or groups that explicitly affiliate themselves with health misinformation. 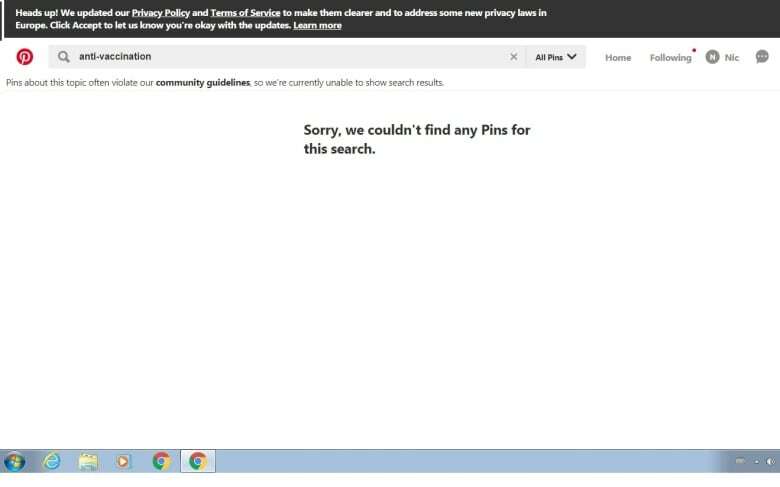 This immediately removes their content from our platform and prevents people from saving new Pins from their websites to Pinterest." Other social media sites have not gone that far. "Videos that promote anti-vaccination content have been and remain a violation of our longstanding harmful or dangerous advertising policy," said a spokesperson for YouTube (which is owned by Google) in an email to CBC News. But the company has not given any indication it will actually remove the content. Instead, the policy dictates that anti-vaccination videos can't make money by hosting ads. YouTube is also "surfacing more authoritative sources and reducing recommendations for anti-vaccination videos. We also show information panels where users can fact check information for themselves," the company said. Facebook also said it has "taken steps to reduce the distribution of health-related misinformation." "We know we have more to do. We're currently working on additional changes that we'll be announcing soon," a spokesperson for Facebook told CBC News in an emailed statement. Some of the measures under consideration, Facebook said, include reducing or removing anti-vaccination content from Facebook's "recommended" feature, as well as ensuring that content doesn't appear as high up in search results and people's personal feeds. In a Feb. 18 open letter to Mark Zuckerberg, Facebook's CEO, a spokesperson for Vaccine Choice Canada — a not-for-profit group that promotes anti-vaccination information but says its goal is simply to express "legitimate" concerns about vaccine safety — appealed to the social media company to resist "pressure to restrict the right to freedom of speech." "These efforts at censorship are a desperate attempt by a desperate industry to control the behavior of free-thinking citizens," wrote Ted Kuntz, identifying himself as a "parent of a vaccine injured child now deceased." Kuntz told CBC in an email that Zuckerberg has not responded to his letter. Both Kurasawa and Carpiano dispute the argument that removing anti-vaccination content from social media sites is a violation of freedom of speech. "You can certainly opine or, you know, voice your opinion — that's freedom of expression," Kurasawa said. "The fabrication of evidence and claiming that it is accurate — then that's when there's a problem." The public consequences of scaring people into not vaccinating their children — and potentially contributing to the spread of a dangerous disease — also need to be considered, Carpiano said. "Really, when it comes to vaccinations it's not simply an individual choice," he said. "It has consequences for other people ... It's not just simply whether you decided to put a seatbelt on or not." Vaccines can cause side effects or reactions like any medication or supplement (including vitamins) but the vast majority of the time, they are mild and harmless. Side effects can include a slightly swollen or sore arm, a low fever, and temporary fussiness. There is less than a one in one million chance of an allergic reaction to a vaccine. In very rare cases it can be anaphylaxis, which is life-threatening. To protect against this very low risk, health-care providers ask you to stay in the clinic for 15 to 20 minutes after vaccination, so they can treat your child in the unlikely event that an allergic reaction happens. Other serious reactions to vaccines are very rare. If your child has unusual symptoms, including a fever above 40 C, crying or fussing for more than 24 hours, or a worsening swelling at the injection site, call your healthcare provider or public health office. An earlier version of this story said Canada has come close to measles elimination. In fact, measles was declared eliminated in this country in 1998. New cases have been introduced through travel and can then spread to people who don't have adequate immunity to the virus.